PSMD Medical Associates P.A. (Arlington) - Book Appointment Online! 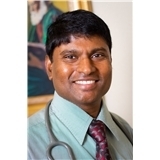 Dr. Mekala is dedicated to providing quality and comprehensive medical care to his patients. He is experienced in treating a wide variety of medical conditions in patients of all ages. Dr. Mekala strives to not only treat his patients but also educate them about their condition and the possible treatments. He is a great listener and gives each patient the utmost attention and care. Dr. Mekala is a great doctor, I have nothing bad to say about him, but the office management is not impressive. Wait times are too long, I've waited between 45 mins to almost 2 hrs past appointment time for each appointment. I'd hate to change doctors but I'm starting to lose my patience.